Cities: Capital: Asmara (est. pop. 435,000). Other cities — Keren (57,000); Assab (28,000); Massawa (25,000); Afabet (25,000); Tessenie (25,000); Mendefera (25,000); Dekemhare (20,000); Adekeieh (15,000); Barentu (15,000); Ghinda (15,000). Nationality: Noun and adjective — Eritrean(s). Population (July 2011 est ): 5.9 million. Education: Years compulsory: none. Attendance — elementary (net 2002) 45.2%; secondary (net 2002) 21.2%. Health: Infant mortality rate (2011est.) — 41.3/1,000. Life expectancy — 62.5 years (2011 est.). Work force (2009): Agriculture: 17.3%; services — 59.5%; industry — 23.2%. Branches: Executive: president, cabinet. Legislative — Transitional National Assembly (does not meet). Judicial — Supreme Court. Real GDP (2010 est. ): $2.1 billion. Annual growth rate (2010 est. ): 2.2%. 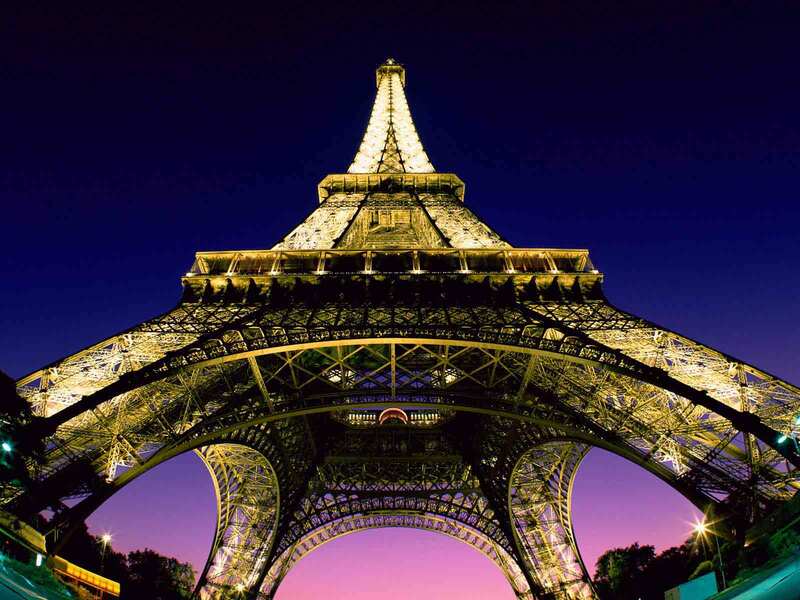 Per capita GNI (2008, World Bank): $640 (purchasing power parity); $300 (Atlas method). Avg. inflation rate (2010 est. ): 18%. Agriculture (14.3(2010 est) % of GDP in 2007): Products — millet, sorghum, teff, wheat, barley, flax, cotton, papayas, citrus fruits, bananas, beans and lentils, potatoes, vegetables, fish, dairy products, meat, and skins. Cultivated land — 10% of arable land. Industry (23.1 (2010est )% of GDP in 2007): Types — processed food and dairy products, alcoholic beverages, leather goods, textiles, chemicals, cement and other construction materials, salt, paper, and matches. Trade: Exports (2005 est. ): $12 million: skins, meat, live sheep and cattle, gum arabic. Major markets — Middle East (Saudi Arabia, Yemen), Europe (Italy), Djibouti, and Sudan. Imports (2005 est.) — $474 million: food, military materiel, and fuel, manufactured goods, machinery and transportation equipment. Major suppliers — U.A.E., Saudi Arabia, Italy, Germany, Belgium. Eritrea's population comprises nine ethnic groups, most of whom speak Semitic or Cushitic languages. The Tigrinya and Tigre make up four-fifths of the population and speak different, but somewhat mutually intelligible, Semitic languages. In general, most of the Christians live in the highlands, while Muslims and adherents of traditional beliefs live in lowland regions. Tigrinya and Arabic are the most frequently used languages for commercial and official transactions. In urban areas, English is widely spoken and is the language used for secondary and university education. By 1977, the EPLF was poised to drive the Ethiopians out of Eritrea. That same year, however, a massive airlift of Soviet arms to Ethiopia enabled the Ethiopian Army to regain the initiative and forced the EPLF to retreat to the bush. Between 1978 and 1986, the Derg launched eight major offensives against the independence movement — all of which failed. In 1988, the EPLF captured Afabet, headquarters of the Ethiopian Army in northeastern Eritrea, prompting the Ethiopian Army to withdraw from its garrisons in Eritrea's western lowlands. EPLF fighters then moved into position around Keren, Eritrea's second-largest city. Meanwhile, other dissident movements were making headway throughout Ethiopia. At the end of the 1980s, the Soviet Union informed Mengistu that it would not be renewing the existing bilateral defense and cooperation agreement. With the withdrawal of Soviet support and supplies, the Ethiopian Army's morale plummeted, and the EPLF — along with other Ethiopian rebel forces — advanced on Ethiopian positions. Although some EPLF cadres had espoused a Marxist ideology, Soviet assistance for Mengistu limited the level of Eritrean interest in seeking Soviet support. The fall of communist regimes in the former Soviet Union and the Eastern Bloc convinced the Eritreans it was a failed system. The EPLF (and later its successor, the PFDJ) expressed commitment to establishing a democratic form of government and a free-market economy in Eritrea. The United States agreed to provide assistance to both Ethiopia and Eritrea, conditional on continued progress toward democracy and human rights. Nominally, the judiciary operates independently of both the legislative and executive bodies, with a court system that extends from the village through to the district, provincial, and national levels. In practice, however, the independence of the judiciary is limited. In 2001, for example, the president of the High Court was detained after criticizing the government for judicial interference. In September 2001, after several months in which a number of prominent PFDJ party members had publicly aired grievances against the government and in which they called for implementation of the constitution and the holding of elections, the government instituted a crackdown. Eleven prominent dissidents, members of what had come to be known as the Group of 15, were arrested and held without charge in an unknown location. At the same time, the government shut down the independent press and arrested its reporters and editors, holding them incommunicado and without charge. In subsequent weeks, the government arrested other individuals, including two Eritrean employees of the U.S. Embassy. Agriculture contributed 24% to GDP as of 2007, and it employed about 17% of the work force in 2009. Agricultural exports include cotton, fruits and vegetables, hides, and meat, but farmers are largely dependent on rain-fed agriculture, and growth in this and other sectors is hampered by lack of a dependable water supply. Worker remittances and other private transfers from abroad contribute about 32% of GDP. 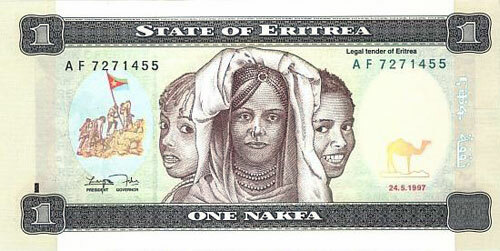 After independence, Eritrea had established a growing and healthy economy. But the 1998-2000 war with Ethiopia had a major negative impact on the economy and discouraged investment. Eritrea lost many valuable economic assets during the last round of fighting in May-June 2000, when a significant portion of its territory in the agriculturally important west and south was occupied by Ethiopia. During this period, more than one million Eritreans were displaced, although nearly all had been resettled by 2007. According to World Bank estimates, Eritreans also lost livestock worth some $225 million, and 55,000 homes worth $41 million during the war. Damage to public buildings, including hospitals, was estimated at $24 million. Much of the transportation and communication infrastructure is outmoded and deteriorating, although a large volume of intercity road-building activity is currently underway. The government sought international assistance for various development projects and mobilized young Eritreans serving in the national service to repair crumbling roads and dams. In 2005, the government asked the U.S. Agency for International Development (USAID) to cease operations in Eritrea. According to the International Monetary Fund (IMF), post-border war recovery was impaired by 4 consecutive years of recurrent drought that have reduced the already low domestic food production capacity. The government reports that harvests have improved but provides no data to support these claims. Eritrea currently suffers from large structural fiscal deficits caused by high levels of spending on defense, which have resulted in the stock of debt rising to unsustainable levels. Exports have collapsed due to strict controls on foreign currencies and trade, as well as a closed border with Ethiopia, which was the major trading partner for Eritrea prior to the war. In 2006, Eritrea normalized relations with Sudan and began to open the border to trade between the two countries. Large and persistent transfers from Eritreans living abroad offer significant support to the economy. The port in Massawa has been rehabilitated and is being developed. In addition, the government has begun to export fish and sea cucumbers from the Red Sea to markets in Europe and Asia on a limited basis. A newly constructed airport in Massawa capable of handling jets could facilitate the export of high-value perishable seafood. During the war for independence, the EPLF fighting force grew to almost 110,000 fighters, about 3% of the total population of Eritrea. In 1993, Eritrea embarked on a phased program to demobilize 50%-60% of the army, which had by then shrunk to about 95,000. During the first phase of demobilization in 1993, some 26,000 soldiers — most of who enlisted after 1990 — were demobilized. The second phase of demobilization, which occurred the following year, demobilized more than 17,000 soldiers who had joined the EPLF before 1990 and in many cases had seen considerable combat experience. Many of these fighters had spent their entire adult lives in the EPLF and lacked the social, personal, and vocational skills to become competitive in the work place. As a result, they received higher compensation, more intensive training, and more psychological counseling than the first group. Special attention was given to women fighters, who made up some 30% of the EPLF's combat troops. By 1998, the army had shrunk to 47,000. The moves to demobilize were abruptly reversed after the outbreak of the 1998-2000 war with Ethiopia over the contested border. During the war, which is estimated to have resulted in well over 100,000 casualties on the two sides, Eritrea's armed forces expanded to close to 300,000 members, almost 10% of the population. This imposed a huge economic burden on the country. The war ended with a cessation of hostilities agreement in June 2000, followed by a peace agreement signed in December of the same year. The International Monetary Fund (IMF) estimates that the economy shrank by more than 8% in 2000, although it rebounded somewhat in 2001. The government has been slow to demobilize its military after the end of the conflict, although it formulated an ambitious demobilization plan with the participation of the World Bank. A pilot demobilization program involving 5,000 soldiers began in November 2001 and was to be followed immediately thereafter by a first phase in which some 65,000 soldiers would be demobilized. This was delayed repeatedly. In 2003, the government began to demobilize some of those slated for the first phase; however, the government maintains a "national service" program, which includes most of the male population between 18-40 and the female population between 18-27. The program essentially serves as a reserve force and can be mobilized quickly. There are estimates that one in twenty Eritreans actively serve in the military. 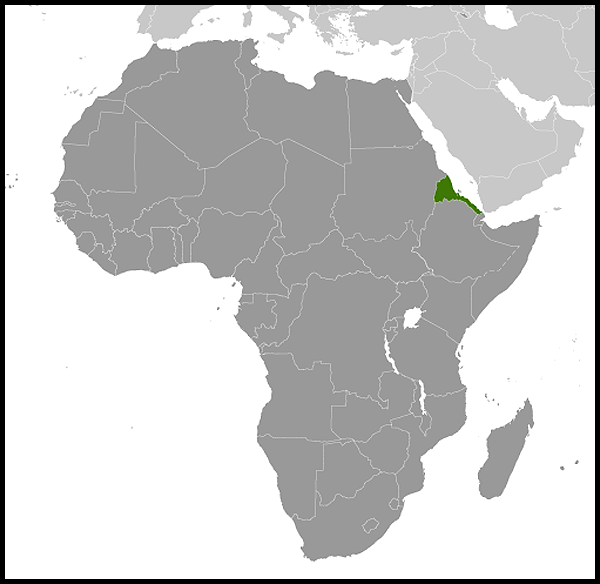 Eritrea is a member of the Common Market of Eastern and Southern Africa (COMESA) and the African Union (AU). Eritrea maintains diplomatic relations with the United States, Italy, and several other European nations, including the United Kingdom, Germany, Norway, and the Netherlands. Relations with these countries became strained as a result of the 2001 government crackdown against political dissidents and others, the closure of the independent press, and limits on civil liberties. Eritrea's relations with its neighbors are strained. Eritrea and Djibouti had a military confrontation in June 2008 along their border. In January 2009, the UN Security Council adopted a resolution calling for Eritrea to withdraw to positions of the status quo ante, acknowledge its border dispute with Djibouti, engage actively in dialogue to defuse the tension, and engage in diplomatic efforts leading to a mutually acceptable settlement of the border issue. Although a territorial dispute with Yemen over the Haynish Islands was settled by international arbitration, tensions over traditional fishing rights with Yemen resurfaced in 2002. The relationship to date remains cordial. Relations with Sudan were colored by occasional incidents involving the extremist group Eritrean Islamic Jihad (EIJ) — believed by the Eritrean Government to be supported by the National Islamic Front government in Khartoum — and by Eritrean support for the Sudanese opposition coalition, the National Democratic Alliance. Eritrea normalized relations with Sudan in 2006. Following the 1998-2000 war, a UN peacekeeping mission, the UN Mission in Ethiopia and Eritrea (UNMEE), was established and monitored a 25-kilometer-wide Temporary Security Zone separating the two sides. Eritrean restrictions on UNMEE led to its termination in July 2008. Per the terms of the cessation of hostilities agreement, two commissions were established: one to delimit and demarcate the border and the other to weigh compensation claims by both sides. The Eritrea-Ethiopia Boundary Commission (EEBC) announced its decision in April 2002. Demarcation was expected to begin in 2003, but did not progress due to disagreements between the parties. The EEBC announced a demarcation decision effective November 2007. Eritrea accepted the decision, but Ethiopia rejected it. The situation remains at an impasse. In August 2009, the Eritrea-Ethiopia Claims Commission (EECC) delivered its final awards regarding international law violations during the 1998-2000 border war. The Claims Commission awarded Eritrea $161 million for damages caused by Ethiopia with an additional $2 million for individual claims. Ethiopia was awarded $174 million for damages caused by Eritrea. Eritrea cited interference which impaired the administration of justice and challenged the plausibility of evidence but announced it accepts the award of the Claims Commission without equivocation. The U.S. consulate in Asmara was first established in 1942. In 1953, the United States signed a mutual defense treaty with Ethiopia. 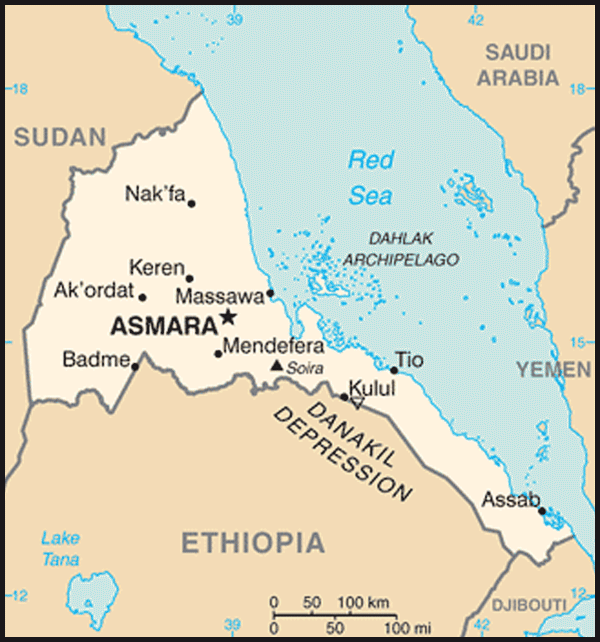 The treaty granted the United States control and expansion of the important British military communications base at Kagnew near Asmara. In the 1960s, as many as 4,000 U.S. military personnel were stationed at Kagnew. In the 1970s, technological advances in the satellite and communications fields made the communications station at Kagnew increasingly obsolete. In 1974, Kagnew Station drastically reduced its personnel complement. In early 1977, the United States informed the Ethiopian Government that it intended to close Kagnew Station permanently by September 30, 1977. In the meantime, U.S. relations with the Mengistu regime were worsening. In April 1977, Mengistu abrogated the 1953 mutual defense treaty and ordered a reduction of U.S. personnel in Ethiopia, including the closure of Kagnew Communications Center and the consulate in Asmara. In August 1992, the United States reopened its consulate in Asmara, staffed with one officer. On April 27, 1993, the United States recognized Eritrea as an independent state, and on June 11, diplomatic relations were established, with a charge d'affaires. The first U.S. Ambassador arrived later that year. U.S. interests in Eritrea include encouraging Eritrea to contribute to regional stability, consolidating the peace with Ethiopia and Djibouti, encouraging progress toward establishing a democratic political culture, supporting Eritrean efforts to become constructively involved in solving regional problems, assisting Eritrea in dealing with its humanitarian and development needs, and promoting economic reform. The address of the U.S. Embassy (http://eritrea.usembassy.gov/) is 179 Ala Street, P.O. Box 211, Asmara, Eritrea (tel. 291-1-120-004; fax: 291-1-127-584).